It’s important to treat your water before adding fish. 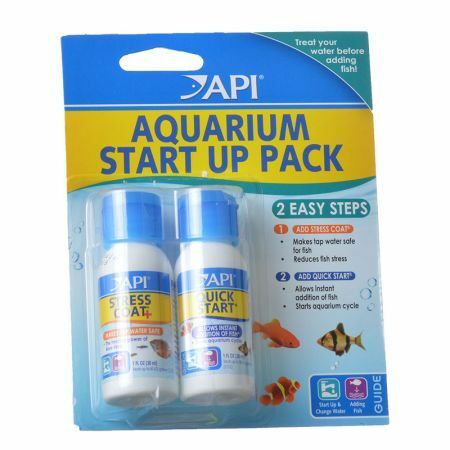 This convenient kit contains Stress Coat and Quick Start to get your new aquarium started in 2 easy steps. Dose with Stress Coat to make tap water safe for fish and to protect fish with the healing power of Aloe Vera. Then add Quick Start to start the aquarium cycle. Fish can now be safely added. Use Stress Coat and Quick Start together whenever changing water or adding fish.